Enhancements include aircraft status (fuel, oil, and battery voltage), flight reporting with an enhanced logbook that provides a detailed flight analysis from engine start to shutdown, and ability to share flight data on social media. It also now provides an analysis of landing approaches, complete with a profile graph. In addition, users can earn trophies in the app by attending airshows. Another new feature is a banner for CAMP computerized maintenance tracking on the app’s home page, highlighting the remaining days or flight hours before the next scheduled maintenance operation/inspection. Version 3 also includes a direct link to Daher’s TBM Care support resource. 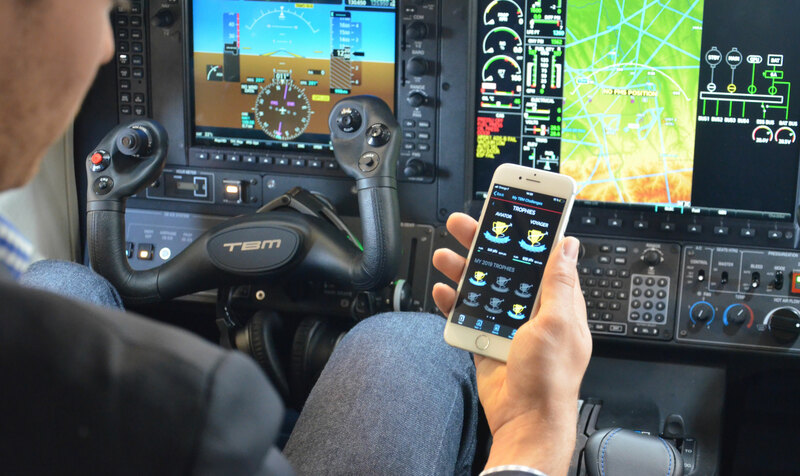 “By evolving the app, we’re enhancing the TBM flying experience and motivating pilots in the TBM community to further develop their piloting skills,” said Chabbert. All TBMs delivered since January 2018 are outfitted with a wireless flight data retrieval and transfer solution compatible with the Me & My TBM app. For earlier-production TBMs, Daher said the Bad Elf Wombat portable SD card reader can wirelessly transmit data for use by the app.